A beautiful location, a captivating heritage and a retreat of pure luxury, Four Seasons The Nam Hai promises to enchant, entertain and soothe every guest. 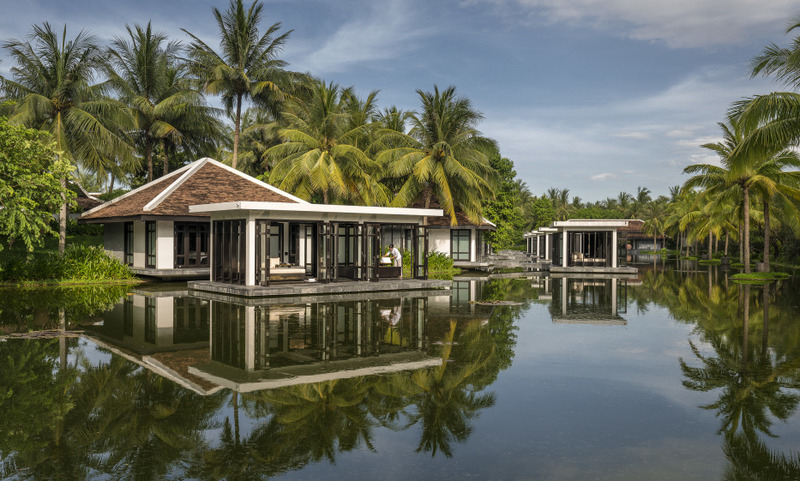 Harmoniously bordering the white sands near the Hoi An Ancient Town, this beautiful all-villa resort provides a magical escape for a truly memorable holiday. Have a swim in one of the 3 infinity swimming pools : the pool nearest to the reception is temperature controlled to accommodate year-round weather condition. Have a treatment at The Spa featuring eight tranquil Spa Villas surrounded by lotus pond. Wonderful resort in a top location with tasty food and very lovely staff. The Nam Hai is well recommended, it is not cheap and the food and drink are top end pricing but top end quality. This is a dream place to relax and explore. The staff are very eager to please and nice with it. A lovely developing place - please don't develop too much.